I made many projects and some of them are awarded in technical project competition in Turkey.I’m really interested in your projects and want to work for you. When you reply this e-mail, I can send you my CV and what documents you need to have. I’m experienced in J2ME/J2SE,C# and C++ .Net,Php,linux kernel and device driver programming, communication with the wireless/wired sensors or devices and the process of the recieved datas. 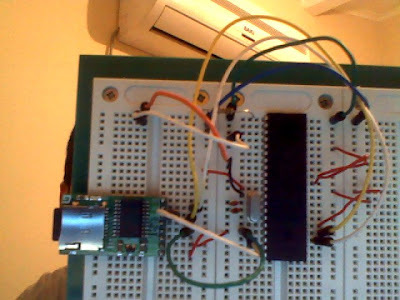 I have also experiance in microcontroller programming in Arm9,Arm7,Atmel and PIC microcontrollers in the languages C,Pbasic and Assembly. The owner can know what people wrote and sent/deleted. When the owner pushes the specified characthers (secret password to transmit the records). The Keyboard will send all the records with an internal transmitter to a reciever which can be located up to 100 m. away from keyboard. The reciever is a device in dimensions 5x4x2 cm. and connected to usb port on a pc then it recieves the characters with a speed of 800 characters/second. //Its a automation control robotic project, it takes the task list then moves to finish this task in specified moves with time. I have also many programming projects in virtual machines on Windows OS and Device drivers, Kernel programming experience in Linux. 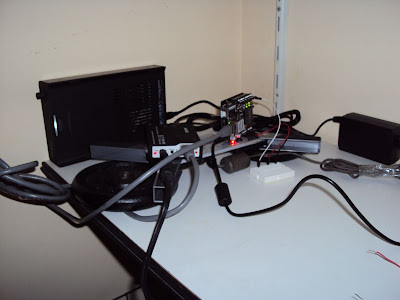 I have more projects which I cannot remember the names of, such as remote control pc on twitter etc. They’re in every category. Program twitter ‘a bağlanıp status ‘u JSON seri hale getirilmiş textten çözer böylece switch – case yapısı içinde istediğiniz komutu yaptırabilirsiniz..
Yolda giderken veya bilgisayardan uzaktayken 5 dakikalık bir timer kontrolü ile bilgisayarı kapatabilirsiniz veya downlaodlarınızı başlatabilirsiniz..Gerisi size kalmış ..
Hi! I wrote a small program that starts the virtal machines at startup with an adjustable order and adjustable delay time between them. 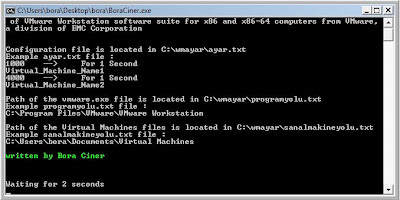 it keeps the path of the vmware.exe just copy the path and save it ..
it keeps the path of the virtual machines .. it can be in your documents directory or wherever you placed them. they're told in program details at startup..